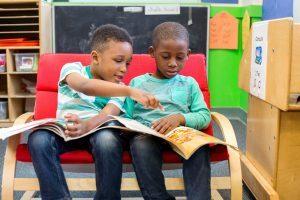 Children’s Literacy Initiative (CLI), a 501(c)(3) non-profit organization that works to improve early literacy instruction, was recently awarded the U.S. Department of Education’s Early-Phase Education Innovation and Research (EIR) grant. 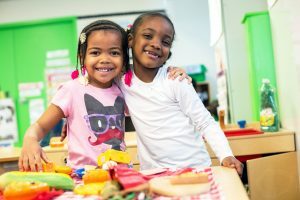 The highly competitive grant, totaling nearly $4 million, will allow CLI to combine its teacher coaching success and curriculum development expertise to create the necessary, transformative approach to pre-kindergarten (pre-K) education that is required to ensure all children, regardless of socio-economic status, become lifelong learners. CLI has been supporting pre-K instruction for over 15 years and has a growing body of evidence of measurable impact with its curriculum, Blueprint (cliblueprint.org). This grant expands CLI’s existing partnerships with Elizabeth Public Schools and Newark Public Schools, bringing integrated curriculum development and professional development resources that will benefit teachers’ continued growth and ensure children are ready for kindergarten. Research for Action (RFA), a Philadelphia-based non-profit education research organization, partnered with CLI on the application and will conduct an ongoing formative evaluation, providing the data needed to build capacity and create a comprehensive, field-tested, high-quality curriculum in both English and Spanish. RFA will also evaluate the extent to which children in CLI-served classrooms demonstrate better results than children in similar classrooms not served by CLI. In this randomized control trial, pre-K classrooms in Elizabeth and Newark will be randomly assigned to one of two groups. By comparing outcomes from the group that will receive the Blueprint program with those that do not, RFA will be able to isolate and determine the effects and impact of the intervention. Established in 1988, Children’s Literacy Initiative (CLI) is a national 501(c)(3) non-profit organization, headquartered in Philadelphia, that is focused on improving literacy instruction in public, charter, and parochial schools to ensure that students can read on grade level. CLI’s program provides personalized coaching for teachers and principals, research-based literacy training, and the books and materials classrooms need so that students can become powerful readers, writers, and thinkers. Third-party research has shown that the CLI professional development model can improve both educators’ early literacy instruction and also student reading achievement. Connect with CLI on Twitter @CLIupdates, on Facebook at Facebook.com/ChildrensLiteracyInitiative and via https://www.cli.org.